Shaylor’s Ponds & Patios was founded by Chad Shaylor over a decade ago based on his passion for the outdoors and his appreciation for the aesthetic pleasures of nature. We are now enjoying our thirteenth season of beautifying and maintaining the properties of our valued customers. He Chad has always enjoyed helping local families and businesses beautify and maximize the enjoyment of their properties. At the age of nine, Chad began mowing lawns and had eight mowing accounts at that time. In 1997, at the age of seventeen, he entered the professional lawn care industry. 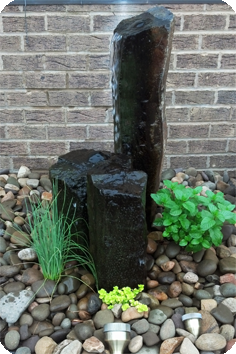 Chad then continued to further his education and gain additional knowledge to expand his services to include professional landscaping, hardscaping, and pond installation and maintenance in order to best serve you, our valued customers. 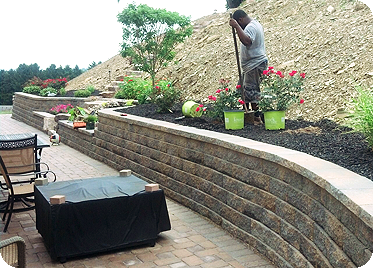 Chad continues to take great pride in transforming the landscapes of our customers into sanctuaries for enjoying relaxing and entertaining times with family and friends. 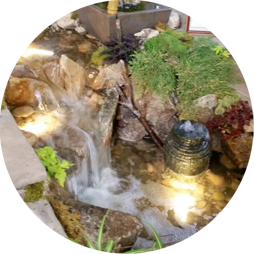 The commitment to excellence does not end with Chad Shaylor as the owner of Shaylor’s Ponds & Patios. All of our employees exemplify our enjoyment of the outdoors and the great sense of satisfaction of providing our customers with the dream of a lifetime come true in their own personal backyard haven. The best feeling that we get as your pond installation and maintenance, landscape, hardscape, and waterscape services provider is when we see your excitement and sense your satisfaction of a job well done when you see your completed project for the first time. Shaylor’s Ponds & Patios is a pond installation and maintenance contractor. We regularly participate in Aquascape’s Aqualand Pondemonium event in St. Charles, Illinois, where we network with other pond professionals from around the world, keep up-to-date on the latest technological advances and trends, and gain knowledge to best serve our customers. Pondemonium is the biggest pond-related event in the world. 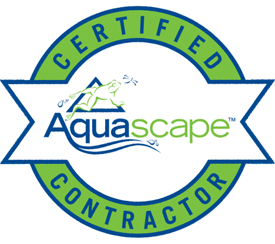 Shaylor’s Ponds & Patios is a proud PRO-CAC Certified Aquascape® Contractor dedicated to providing the highest grade of installation and maintenance service and we are the only trained and dedicated service professionals in the entire region. When you want the job done right the first time, count on us. 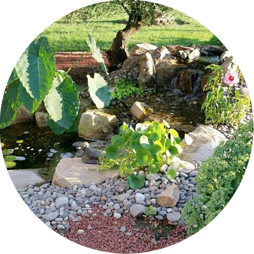 Shaylor’s Ponds & Patios installs all-natural ecologically-based ponds. We have constructed exhibits at some of the country’s finest establishments including the Lincoln Park Zoo in Chicago. Our commitment to ecologically-based ethics and the integrity of the biotic community as a whole will always be a part of who we are as a company. We are committed to providing uncompromising value and consistent quality that you can rely on. When you choose Shaylor’s Ponds & Patios as your dedicated property maintenance and improvement contractor, you can rest assured that we will do our best to meet your needs. Because we use high‑quality materials and work hard to provide you with the best and most durable installation possible, we guarantee that our estimate will not be the lowest price quote that you may receive. However, we do guarantee that you will receive the best value for your dollar and you will receive a high‑quality installation or maintenance service that will endure. You will be proud to showcase any project completed by Shaylor’s Ponds & Patios for a very long time. We do not skimp on material quality or craftsmanship and it is abundantly apparent when you view our completed projects at our garden displays or at the homes and businesses of our clients and when you speak with our former (and current) customers. We are proud of the work that we do and we are certain that you will love your installation, as well! Please note that we do not artificially inflate our prices. We charge you a price that is fair and reasonable for both the high quality materials that we procure on your behalf, as well as the hard work of our employees who are all locally based and fully committed to serving you and the community with unwavering excellence. Our company is based on quality and integrity above all. We promise that you will be absolutely delighted with our products and services! Contact Shaylor’s Ponds & Patios to request a quote, learn more about our landscaping services, pond installation, maintenance, and repair services, and hardscape installation.